For many enterprises, cloud migration is more of an ongoing challenge than an immediate benefit. Is it safe to say that cloud computing is now a universal feature of doing business in all industry sectors? Yes… and its influence will continue to grow over the next several years, says IDC. For enterprise IT departments, cloud is probably more of an ongoing challenge than a benefit, although it certainly does have an important role to play in keeping organizations competitive. IT teams in charge of complex infrastructure and business processes wake up every day to the sobering realization that they can’t manage what they can’t see. The solution is simple but does require commitment and some investment: give IT teams innovative monitoring capabilities beyond traditional network performance management (NPM) tools. A transformative, 360-degree view of the end-to-end, hybrid infrastructure must make use of machine learning and stream analytics. Only with such functions at their disposal can IT operations support business growth. This isn’t optional, any more than migrating to the cloud is optional. But the journey can be (mostly) painless by addressing two overarching cloud migration friction points, faced by enterprises across all industry verticals. While the benefits of virtualization are well-recognized, its implementation and integration can be significantly disruptive for an enterprise accustomed to managing a set number of physical servers in a controlled, private data center. That’s because virtualization increases network and application stack complexity; resources that previously were managed at the customer premises now reside in the cloud. The IT team must now monitor virtual machines they can’t physically see; they’re monitoring the invisible. Infrastructure agnostic; able to monitor any part of the enterprise legacy or virtualized infrastructure. Universal for applications and network; applies across all layers of the application and network chain, complementing existing monitoring tools. Prevents silos and fragmentation, enhancing IT teams’ visibility into the dependency between networks and applications. Humans often believe the solution to a complex problem is a complex answer. But at least when it comes to being unable to monitor what you can’t see, the solution is simple: more visibility, everywhere. To be fair, traditional monitoring tools have served their purpose: providing the passive, reactive insights enterprises once needed. Today, though, digital and agile enterprises must be proactive, using real-time and predictive analytics to guide their decision-making. This insight is the guiding light an enterprises needs to see into the darkness of their application chain. Without it, cloud migration friction will be unavoidable. Need to convince someone that moving to the cloud is best? Guarantee a smooth ride and you’re all set. 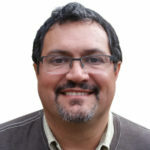 In his role as VP Global Strategy and Solutions at Accedian, Ramiro helps operators use actionable insights to maximize the benefits and value of network health visibility. Over the past two decades, he has held leadership positions ranging from manufacturing to engineering, training, and sales/business development with companies including Radio Frequency Systems, Andrew Corporation (now Commscope), and Powerwave Technologies. Ramiro spent several years in the U.S. Navy’s nuclear engineering division, and holds a B.S. in business management from the University of Phoenix.